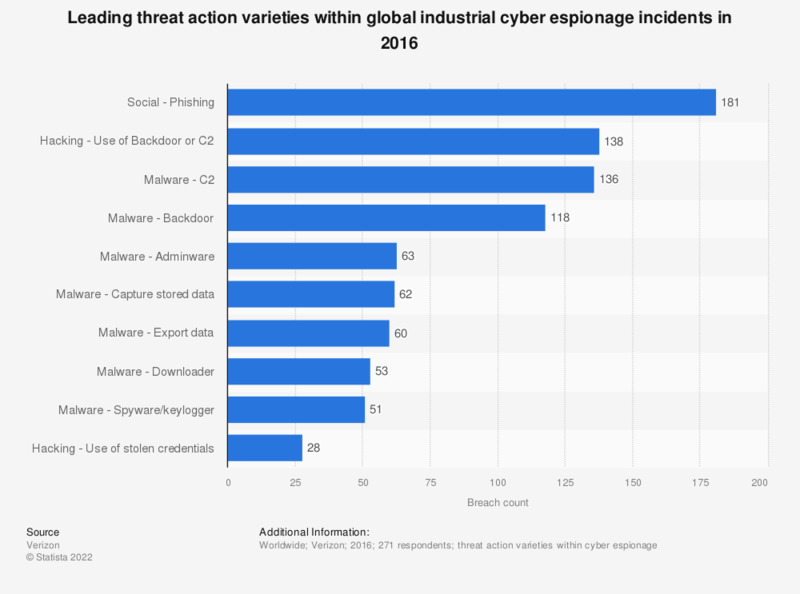 This statistic represents the leading threat action varieties within global industrial cyber espionage incidents in 2016. During the survey period, it was found that 181 of cyber espionage incidents involved phishing. The usage of stolen credentials occurred in 28 cyber espionage data breaches. How often have you experienced or been a victim of the following situation: discovered a malicious software on your device?" How often have you experienced or been a victim of the following situation: "discovered a malicious software on your device"? How often have you discovered a malicious software on your device?